1. Tazo Tea. Peppermint and Passionfruit flavors are my favorites. Hint: it is much cheaper to buy this Starbucks brand in grocery stores than in Starbucks stores. 2. Zevia soda. I just discovered this wonderful soda, sweetened only with stevia, at my local health food store. I am always concerned about drinking diet sodas with aspartame and a host of chemicals. I like how Zevia uses natural flavors (such as ginger extract) and its sodas are zero calories. Best of all: some of its flavors taste like the real thing. 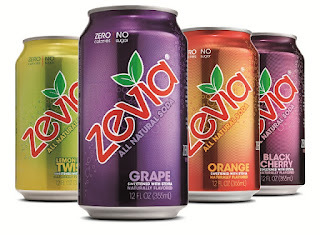 Try Zevia's Creme Soda, Ginger Root Beer, and Orange flavors, and avoid Lemon Lime and Black Cherry. 3. 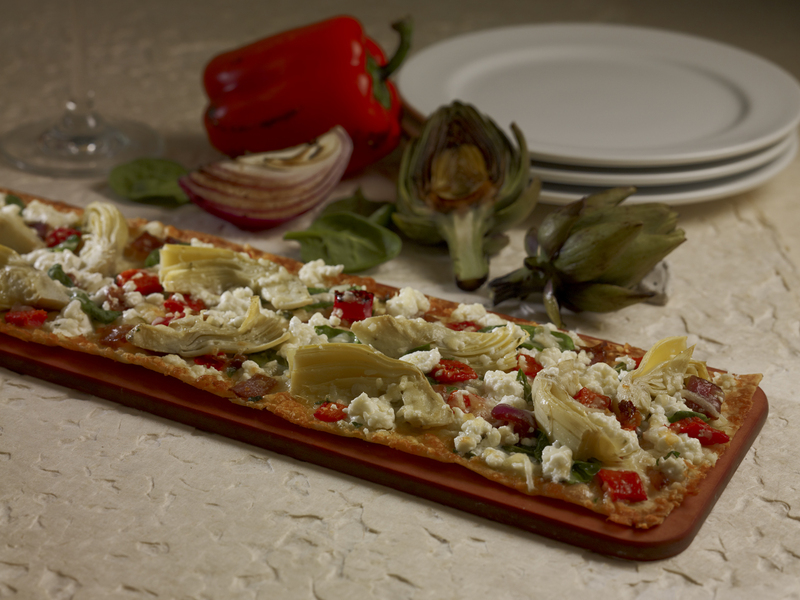 Daiya vegan cheese. Some of the imitation soy and almond cheeses just taste nasty. This is the best-tasting alternative cheese I have come across, plus it melts like regular cheese! Both flavors I have tried - mozzarella and cheddar - are delicious. 4. 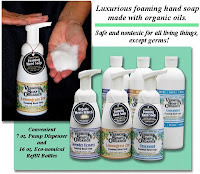 Vermont Soap Organic's Foaming Hand Soaps. 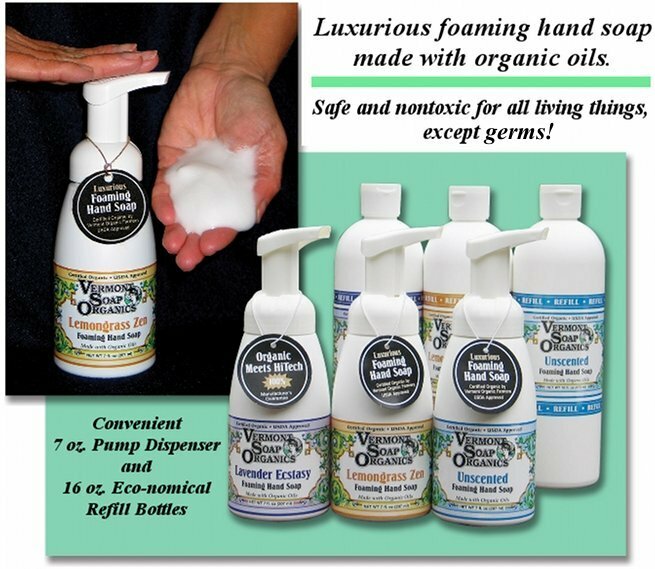 Vermont Soap has been making natural and organic soaps and personal care products for decades now. Since I like foaming hand soaps, I recently tried the company's new Tea Tree Mint (the line also includes Lemongrass Zen and Lavender Ecstasy). It smells so good and is made with organic oils. The best part is, it is not your typical health food store soap: it feels luxurious and softens your hands. 5. Gardenias. Floating these flowers - from our bush in the back yard - in bowls of water just makes the whole house smell fantastic. Magnolia flowers - now in bloom in Florida - also work well for brightening up your home. Have you tried any of these products? If so, let me know how you like them! Also, drop me a line if you need help finding them. 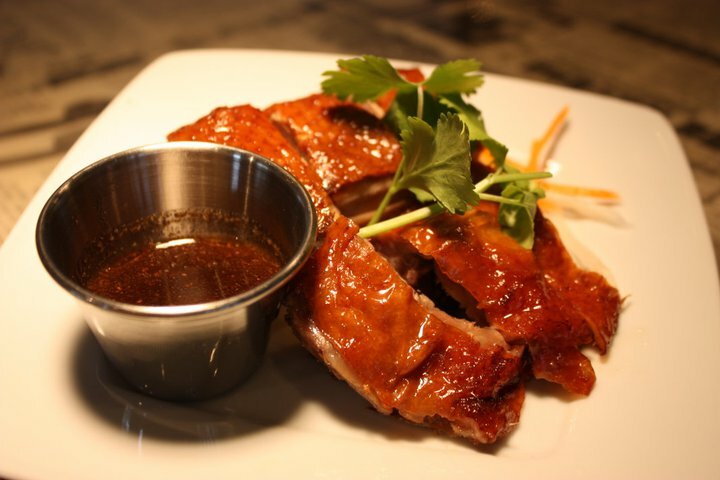 Who doesn't love the bold Asian flavors, unique martinis and classic ambience of P.F. Chang's? However, I used to go there infrequently because of the cost of some of the entrees. The executives at P.F. 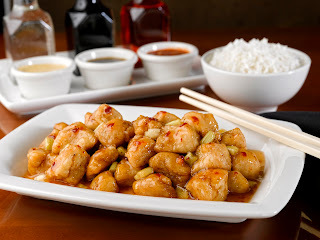 Chang's seem to recognize that they need to make their menu more affordable, and this year launched some great dinner deals as well as a new lunch menu, offering 20 entree combos for under $10 each. Among the items on the under $10 menu are my favorites such as Mongolian Beef, Kung Pao Chicken, and Buddha's Feast (one of several vegetarian items on the menu).The lunch menu items are all served with either salad or soup. P.F. Chang's also recently started offering a Dim Sum lunch menu, which includes two servings of steamed dumplings and salad or soup, for $7.45 each. To top if all off, P.F. 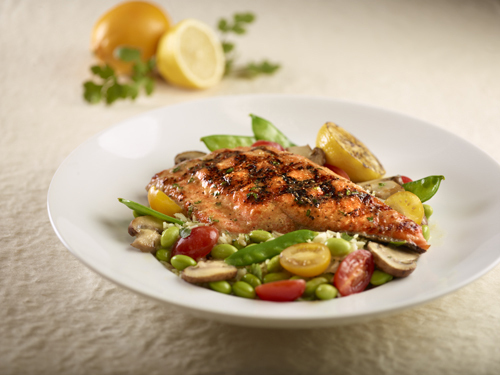 Chang's also added new regular and gluten-free dishes to its menus. New gluten-free items include: Vietnamese Crab Salad, Caramel Mango Chicken, and Crab Fried Rice. I can't wait to try these! I commend P.F. Chang's for expanding its yummy options because gluten sensitivity is such a big issue for many restaurant guests. Next time you go, make sure to order the Crab Wontons for an appetizer, and the Pear Mojito for your beverage. Ask for the Key Lime Pie Martini, which is no longer on the menu, but perhaps the bartender will whip it up for you. It is the best dessert in a glass I have ever had. The weather for the monthly Food Truck Bazaar near Lake Monroe in Sanford last Saturday was just perfect, as was the setting. My hubby and I were able to choose from gourmet and fried food from 20 different food trucks, then sit down to eat at a number of benches and porch swings along the beautiful lake. We also could have brought our beach chairs - as many others did - stayed for the evening, and listened to music. While it was tempting to try food from every truck - including Monsta Lobsta, 5 Gastronomy and Saigon Sizzle - we selected items from a few new ones and an old favorite. Yum Yum Cupcakes is a favorite of ours, so of course we got dessert first! The Chocolate on Chocolate Action is a chocolate-lovers dream and I loved the unique frosting on the Peterbrooke-Inspired Salted Caramel cupcake. I was also very impressed with Yum Yum's Lady Bird vegan, gluten-free cupcake. Based on a Southern hummingbird cake recipe, the cupcake is moist with a strong hint of banana and pecans and the vegan cream cheese frosting tastes like the real thing! For dinner, I tried Cafe Rouge's Chicken Wrap with Mango Salsa and Saffron Rice. The wrap had a nice kick of heat, all the ingredients were fresh, and the flavors worked well together. I also had the best crispy Yucca Fries from Twisted Cuban. The husband had perhaps the best french fries he has ever had: Fork in the Road's Fungi Fries. You would think the fries would simply be topped with mushrooms. No. The chefs at Fork in the Road mixed up a perfect mixture of portabella mushrooms, mushroom gravy and mozzarella cheese to top off crispy potato fries. 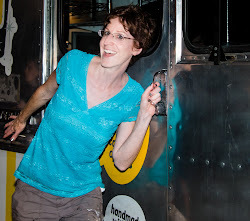 Missed the Sanford Food Truck Bazaar? Check out the next TheDailyCity.com Food Truck Bazaar outside City Hall in Casselberry, 95 Triplet Lake Dr., on April 13. And, the next Sanford Food Truck Bazaar will be on May 5 at Palmetto Ave. and Seminole Blvd. (behind the courthouse). The Yum Yum Cupcake Truck will feature its new "Nannerpants" cupcake at the monthly Food Truck Bazaar in downtown Sanford, Fla., this Saturday, April 7, from 5:00 to 8:00 p.m. The Nannerpants is the popular truck's version of the classic banana cream pie, sporting a graham cracker crust, freshly sliced bananas and banana cream pie filling. Another truck that will be displaying its gourmet wares is the Big Wheel Mobile Food Truck. Its menu for Saturday includes Austin Style Fried Pickles, Slow Roasted Angus Short Rib on Buttermilk Biscuit, Moroccan-style Seared Florida Octopus, and Cornmeal- Fried Apalachicola Oyster Deviled Eggs. The Bazaar always features about 20 different food trucks and a great environment: people bring their lawn chairs and enjoy great food, great company, and views of Lake Monroe. 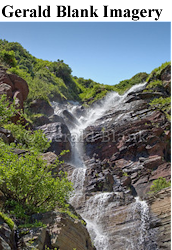 You can even take a stroll afterwards to the art and antique shops nearby. What a great way to support the businesses in downtown Sanford, which have been hurting as a result of the Trayvon Martin case! Where: Palmetto Ave. and Seminole Blvd., behind the courthouse, Sanford.